The Little Banksia Cafe Kensington is a quaint little cafe, across the road from the Kensington Primary School with a gorgeous play room for the kids. 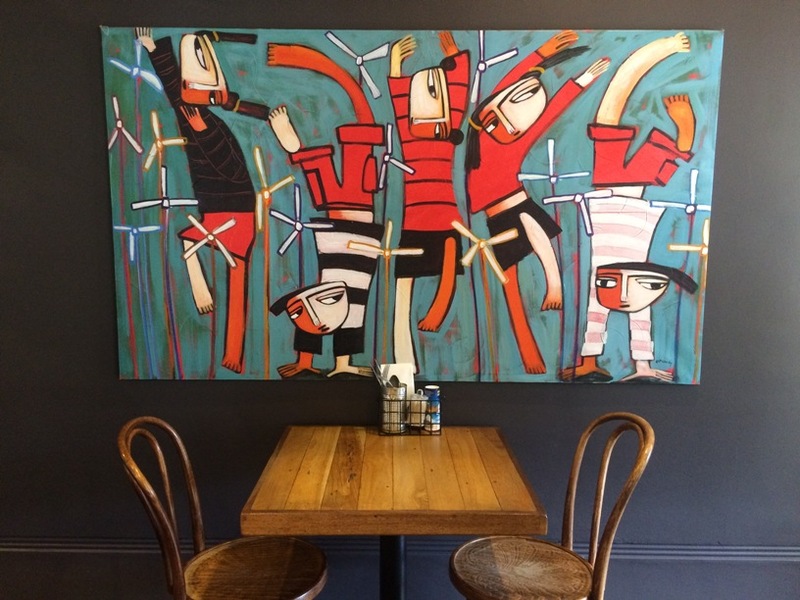 It also has kids meals and amazing food and service, that makes for the perfect place to take the kids for a relaxed coffee or a meal. 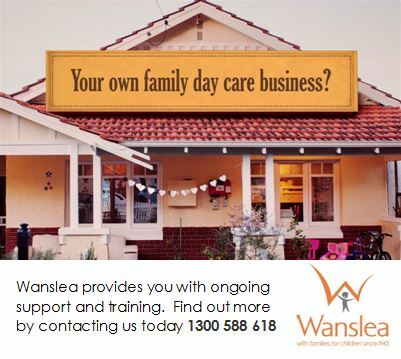 No matter what the weather The Little Banksia is a great place for families to dine. Inside is lots of cosy dining. Don't let the store front deceive you there is lots of room indoors with a range of table sizes so you can dine one on one or with a few friends. 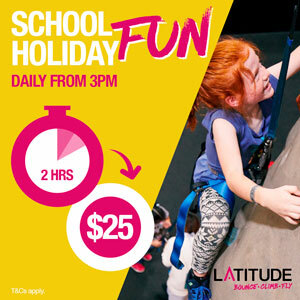 It's open daily too so you can meet up with friends here any day of the week. 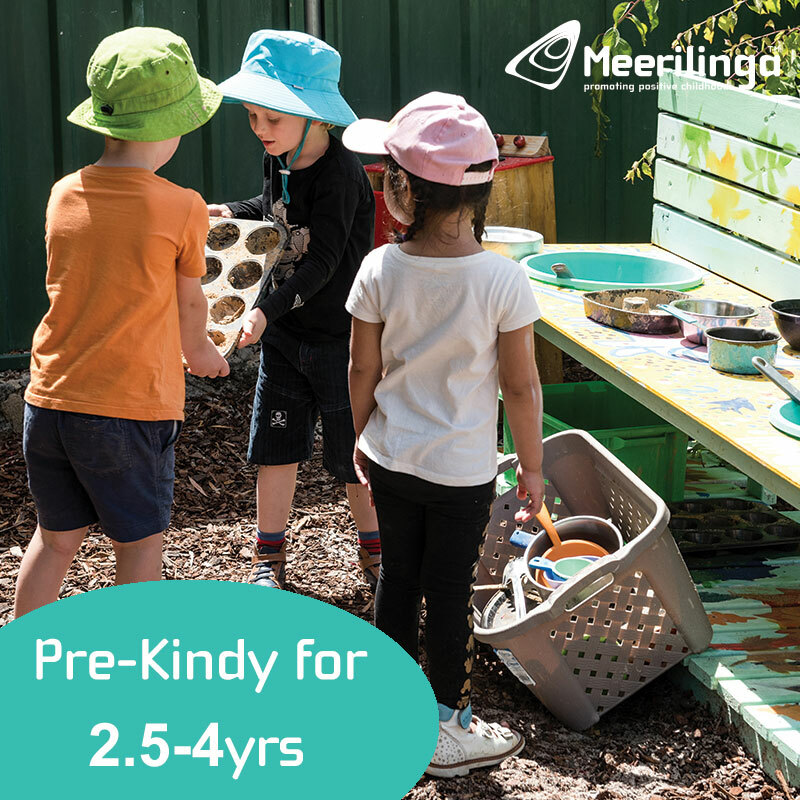 Just note: we parked at parking near the Kensington Primary School and wandered over. You may find parking a little difficult during school pick up and drop off times so just keep this in mind. 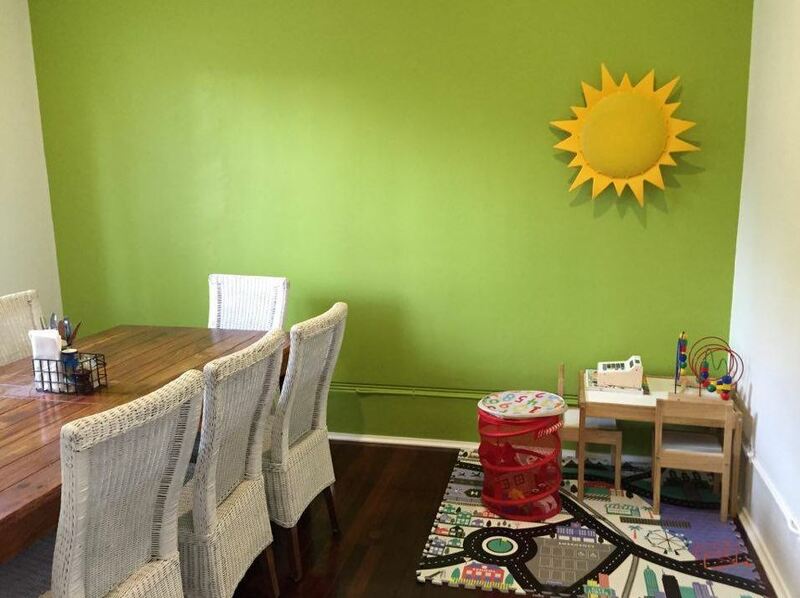 The kids play room was under renovation when we visited, however they have kindly sent through a picture of the room which has just been finished. We love that they have put a long table within the room - making this the perfect place to meet up with a small mother's group or group of friends. We only popped in for a juice and a snack after a walk at a local dog park, but the food on display and coming out looked amazing. You only have to read the reviews on their facebook and on Zomato to see what others are saying about the incredible food and service at this quaint, but full of character cafe. With dog in tow, we dined outside in the gorgeous courtyard. It has been delightfully decked out with artificial grass, a vertical garden, and a handful of tables with umbrella shade, that still allow the northern sunlight to come in. It was lovely to sit here with our dog and enjoy the warm sunshine coming in. 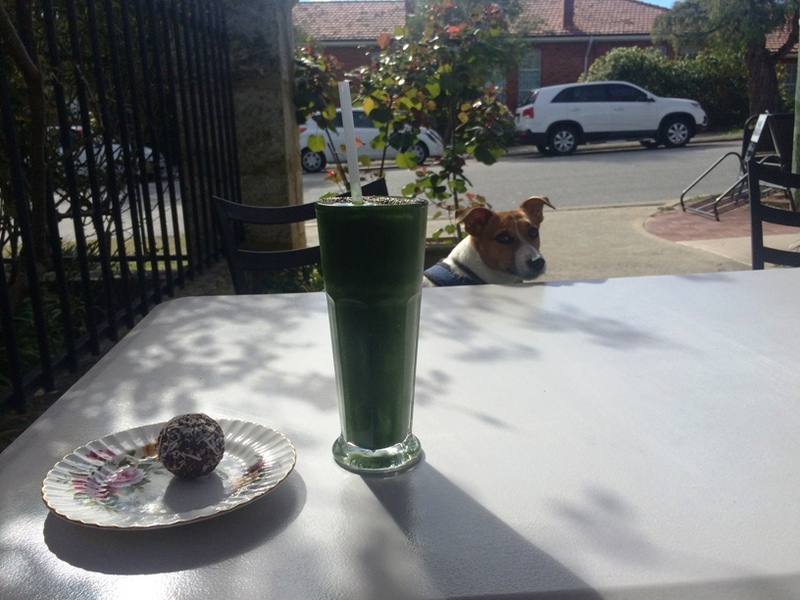 I had the green smoothie and a raw cacoa ball which was just delicious and just the trick after a nice long walk at the park. They have a great kids menu with items starting from $9. All day breakfast and lunch menu items start from $5.50 for toast with your choice of spread to $21 for a full Banksia Breakfast. 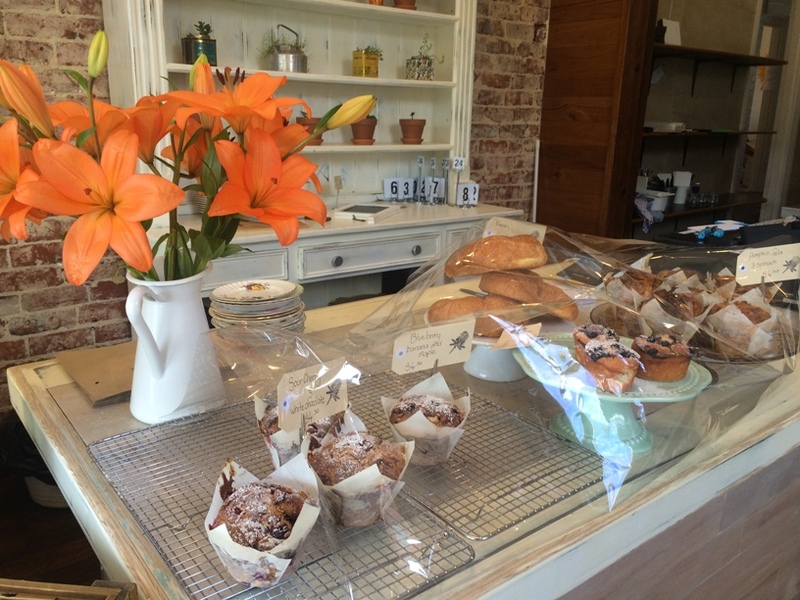 Of course there is a range of freshly made paninis, salads, tarts, muffins, raw treats and more to choose from also.. 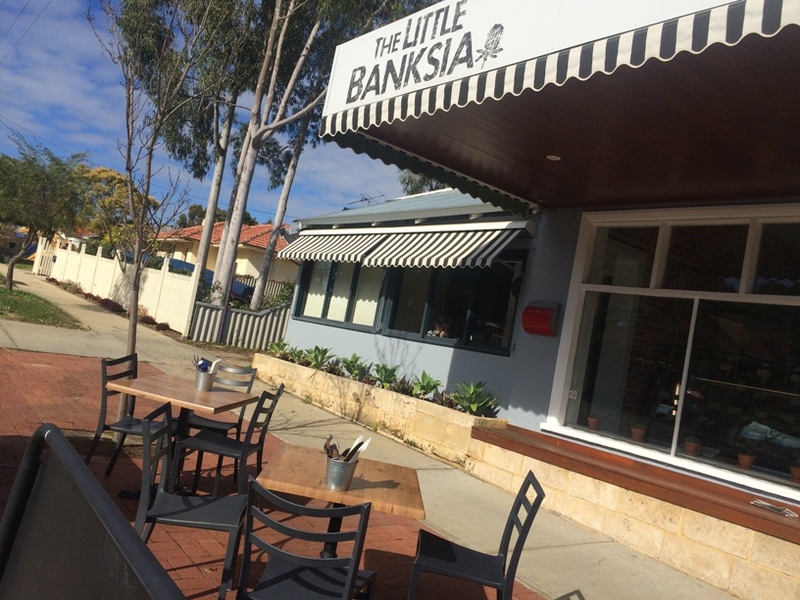 If you are looking for somewhere nice to take the kids or somewhere with warm, friendly service and amazing food for your next get together with friends then give The Little Banksia Kensington a try. You wont be disappointed in fact we are sure it will become one of your regulars.